This is a very cute story about a person who discovers that looks aren’t everything… It is quite funny. I would definately put this book in my classroom library. It is written in chapters, but it quite easy and is supported by a lot of illustrations. This graphic novel is very colourful and has lots of action. The story broaches the topics of bullying and cheating. They attempt to show how the pressure of others can really get to a person, but that in the end, if you stay true to yourself and stick with your friends, you can overcome. The drawings in this graphic novel are very active and the dialogue lends itself very well to discussing “voice” with the students. Because of the illustrations, you can almost hear the sneers and the fear dripping from the characters voices. However, a word of caution: although there seems to be very few words on the page, this is not a very fast read. There is so much detail and texture in the illustrations that I found myself lingering and studying them instead of moving on. 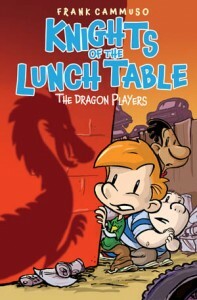 The cover of this book recommends that it is for ages 6-8. However, the vocabulary, expressions and sentence structure in this book are very difficult. They attempt to counteract this by including a glossary, but even those definitions are difficult to understand. The illustrations help to figure out what the author is saying, but I am not sure that my students would have enough background knowledge to figure out the overall message of this story. It is about a witch who eats so many treats that her teeth are rotting. Eventually when there are no more treats, she changes the children into chocolates with nuts. She eats one of the nuts and her teeth fall out. The spell is broken, the children come back to life unharmed and they never hear from the witch again. I will not be adding this book to my classroom library. Ever been interested in word play? This book is for you! 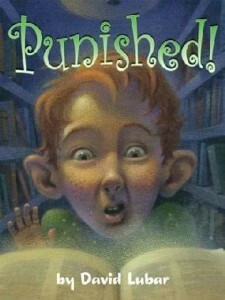 It is an adventure-type book where the main character is pun-ished for misbehaving in a library. Anything he says beyond three-word phrases turn into puns. Logan needs to seek out examples of many other word plays in order to break the spell. I love words but have never been very good at thinking off the top of my head for the word games… This book is super cute. It was recommended to me as a read-aloud for grade 3 students. I would love to read it to my students but I’m not exactly sure how to go about reading the puns when the students can’t SEE the play on words… I’m thinking about it. Suggestions are welcome! 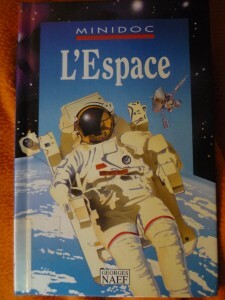 This is a great French non-fiction selection for Grade 3s. 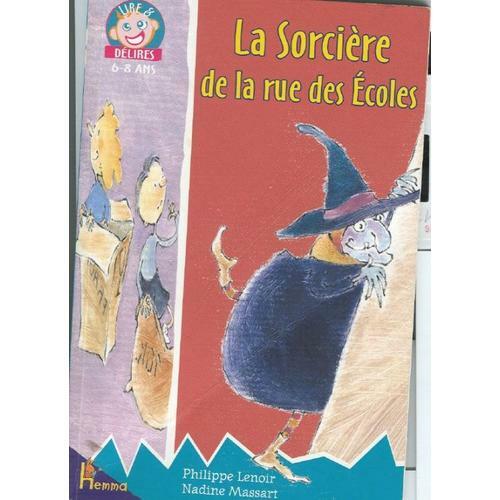 I know that in my classroom library, I am sorely lacking non-fic in French. I often find that they are either way too difficult for them to understand or there is not enough content. This book balances the two very nicely. For the more scientific words that cannot be brought down to the young level, there is a glossary at the end of the book. The only drawback to this book is that it was published prior to Pluto becoming a dwarf planet. I really liked this book. This is book one in a series of 28 books, which continues in a second series, the Merlin Missions. The idea of using kids to travel to different times to learn about different points in history is great. I have read other series with this philosophy (Time Warp Trio, The 39 Clues). This is a great initiation into this genre of writing. 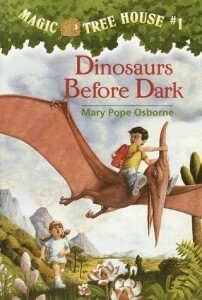 The fact that the first book talks about dinosaurs doesn’t hurt to get grade 2/3 boys (and girls) reading. I will definitely be book-talking this series to my kids in the fall. 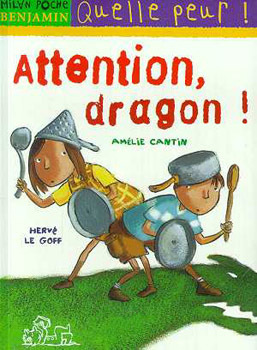 Again, this is another cute book about kids who think that a dragon has moved in next door. They use household items to create armour. Reading this book allows for the children reading it to learn new vocabulary about these household items and about the different parts of a dragon. I could see using the part of the story that describes what they think the dragon looks like as an example of writing a descriptive paragraph. This book has been highly acclaimed, but I have mixed feelings about it. It was a very slow start. 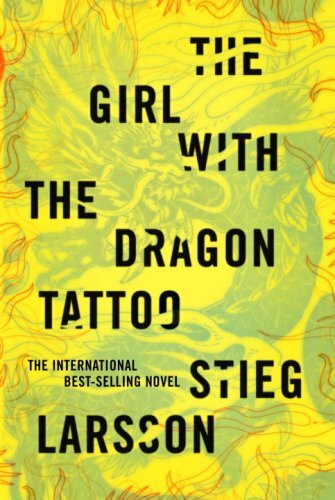 It took me almost 300 pages to get into the story. From that point for the next 500 pages, the story was absolutely gripping. I had a hard time putting the book down. I gasped, I trembled, I shivered, I couldn’t read quickly enough. Then came the last 50ish pages… To me, a giant let-down. Up until then, I was ready to jump into my car are go get the next book to start reading right away. Now, I’m not sure I’m even going to read the next book… It most certainly will not jump ahead of the five TBR books in my immediate reads pile next to me. But, at least now I can say that I have read it, right? And, I’m proud that I actually finished this book. I don’t remember the last time (if ever) that I have read a book that was over 800 pages long. So, if nothing else, I know that I am growing as a reader. So, there is my reading week in review. 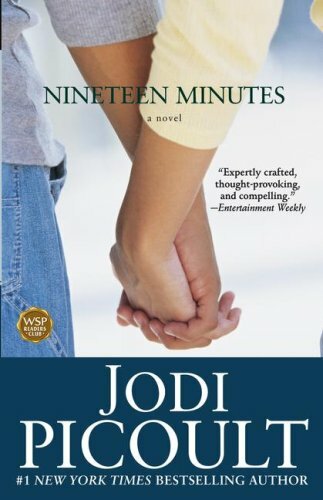 What do you think of these books? Have you read any of them? Do you have suggestions for grade 3 books and how you use them in your classroom? 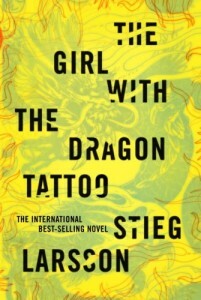 What did you think of “Nineteen Minutes” or “The Girl with the Dragon Tattoo”? Have a great week! And keep on reading! This entry was posted in #bookaday Challenge by Jamie Forrest. Bookmark the permalink. Congratulations on a successful week! 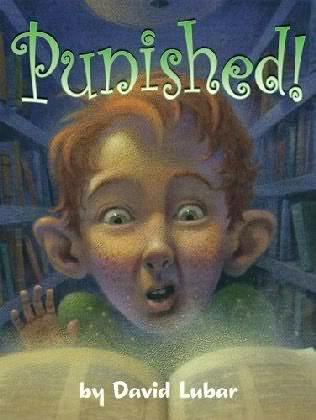 I taught 3rd grade for three years and read Punished aloud during two of those. I found myself writing on the board a lot during it. I tend to be a little too chatty when reading aloud. My students know how to get Mr. Schu off topic. It isn’t difficult. I recall having scores of interesting conversations about words during this book. Luckily, David Lubar visited Anderson’s Bookshop the week after we finished reading it. Some of my students attending the book signing. Jamie, I am impressed with this weeks line-up! These are great books, I have a few new ones to add to my must read list. Thanks and enjoy the reading!